Multilink is proud to present our new Road Show Van. This mobile training center is equipped with an Outside Plant cabinet, Fiber Splice Enclosures, Sno-Shoes, Rack and Wall Mount Enclosures, Indoor and Outdoor Raceway, and many other Multilink products. 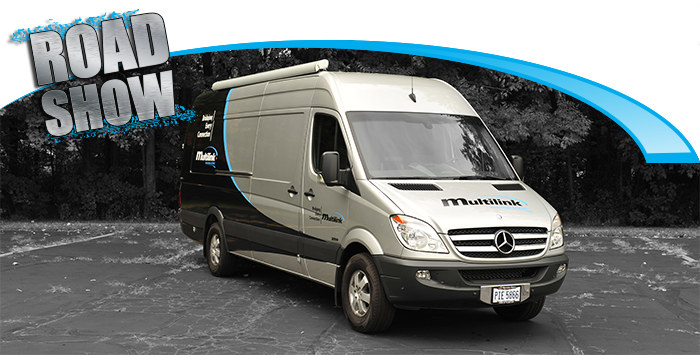 The Multilink Road Show will tour around the country , making stops at Trade Shows and Customer and Distributor Locations.